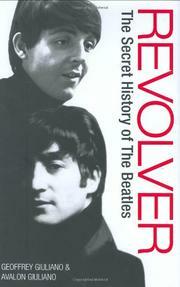 A wholly unnecessary retelling of the Fab Four’s story, from an author who fails to add anything that seasoned Beatles fanatics don’t already know. Writer, actor and radio-show host Giuliano (Dark Horse, 1991, etc.) adds to his Beatles oeuvre (a second volume on Harrison is already in the works) with this basic runthrough of the highs and lows the four members of the Beatles collectively and individually endured; he is aided by his daughter Avalon. They begin with a dedication to the founder of the Hare Krishna movement, A.C. Bhaktivedanta Swami Prabhupada, which immediately brings to mind the most spiritual member of the Beatles, George Harrison. Indeed, the authors conclude with a touching tribute to Harrison, whose death is among the most recent events they cover. Unfortunately, they also include an ill-timed eulogy to Paul McCartney’s post-Linda marriage to former model Heather Mills, which is being dissolved just as Giuliano’s book reaches publication. The few scraps of new information presented emanate from Giuliano’s connection to George Harrison, but he fails to adequately explain his relationship with the former Beatle. There is a hint that Giuliano and Harrison bonded over spirituality: The dedication to the Swami offers a clue, as does an e-mail sent to Giuliano from a Krishna monk who met Harrison shortly before his death. But Giuliano’s insufficient clarification spoils what could have been an interesting addendum to a perfunctory retrospective, making this a needless addition to the welter of literature on a band whose magic is buckling under the weight of over-familiarity. Nothing new for an overflowing table.